Siam was a blast! 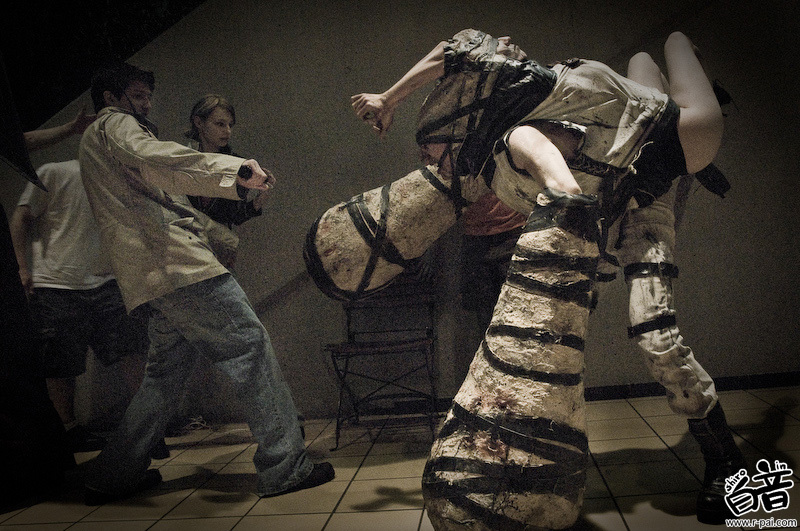 Daguru and me are both huge Silent Hill monster fans, so we couldn’t pass up doing this costume. I’d also like to give credit to Jia Crens and Zasshu, with out them, we wouldn’t have had people to pin our clothes or help us get in and out of costume. We made a harness using piece from an army surplus store. 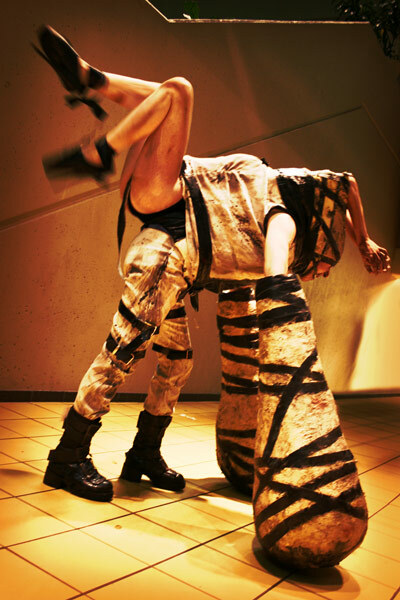 The harness would lace through our under suits and our under suits were connected to the clothes on the outside of the costume. The arms and mask we Daguru’s cup of tea. 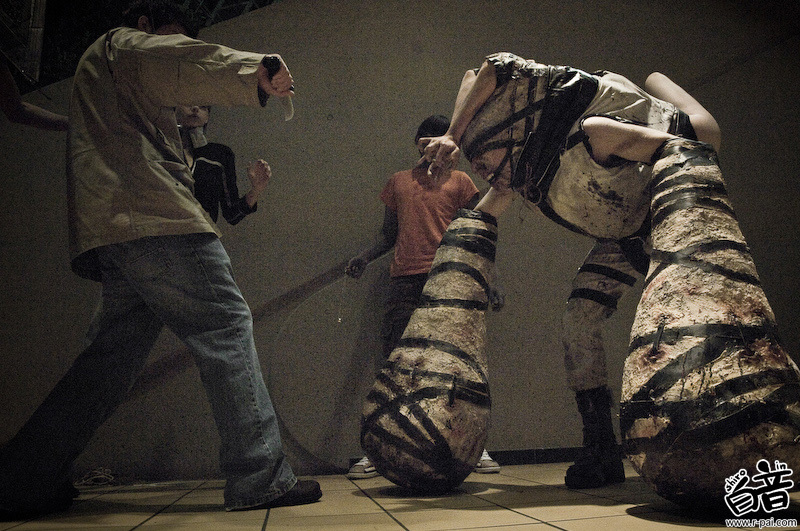 The arms were made with pink foam, covered in fabric, layered in latex and then painted and added with leather straps and poly for the Silent Hill touch. The mask was made from us sitting back to back (me on a phone book to be postioned right) and wrapped in ducktape. Then that was used to cover in latex, fabric and straps. I bought the shoes on EBay when they came up from a private seller. Luckily they were in my size and in my price range. Talk about perfect timing. The way the arms on the Siam are laying is actually an ancient form of toucher, so my arms were not strapped together completely like in the concept art, because, well, I need to breathe. First time with it all on backstage at ACen 2008 here. Walking across the stage at Anime Central 2008 here. Watch up us put it on while at Ohayocon 2009 here.